I am proud owner of Tata Nano CX in Jamshedpur city it’s been a year from now on since I purchased this little cute car. The car is very spacious it has got more inside space than Maruti Alto. The head room and leg room is pretty good on the front row and rear row. The car has got some decent looks, as it has been designed by an Italian car designer. The best part is the mileage of it as it provides with around 23 kmpl in city conditions and on the highways a have once achieved 26 kmpl, where I travelled nearly 105 kilometers. The car I would suggest is best for the ones who have recently started their second innings (after marriage) of life or are aspirants of starting a new career. But the petrol price hike these days is becoming problematic as on daily basis I need to fetch out Rs 350 for daily commuting from home to office and other works. As soon as I think of these expenses I just can’t stop myself think of a diesel car, and that too Tata Nano Diesel with a dream mileage of 40 kmpl. Trust me guys all these 20kmpl Altos and Eons will disappear and make way for Nano diesel, as I am looking for a budget option to replace my current Nano. But as per reports the launch is expected to be in the start of 2013, until then I will apply some more fuel efficient ways to save more and more on fuel and other expenses. The driving through the city is perfect it takes on city corners easily with speed of 50kmph while I have recorded a 95 kmph on the highways, which was just terrific experience. The service by Tata Motors is considered bad, but when it comes to nano concerns a pretty good and prompt one. While many a times a Have called their toll free number also. On the whole, a good small car, but the presence of diesel would have made India feel on cloud nine. 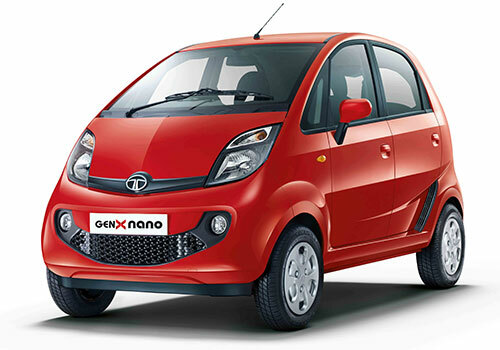 Tata Nano is a pretty small car which acquires cool features. Tata Nano is world cheapest small car . It is a rear-engined, four-passenger city car. I am feeling extremely happy. Tata Nano car build quality is really good. it looks cute.